Browse free with N0.00 on your phone, pc and any other gadget with zero amount. Naij.com, an online news site, is helping to bring free mobile internet to Nigerians via the MTN network and the Opera software application. MTN users will be able to activate their free day of internet through Opera Mini on the MTN network. Which means you have access to browse for free with N0.00. No subscription or tweak required. What you need is to follow steps below accordingly and you are good to enjoying free Mtn browsing on your Smartphones or PC. Then you can start enjoying your free browsing. 2. Create a new APN settings on your phone as follows. Close the settings and click the connect button. 2. Extract the zip file to a new folder on your desktop background. 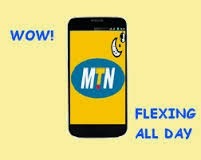 Caution: It is advisable to use it with N0.00, otherwise MTN may wipe your credit balance.